Christine L. Henderson... Let's Write! 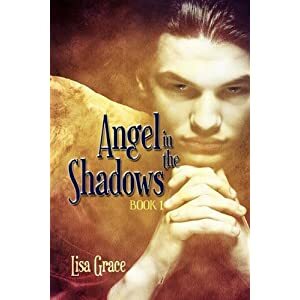 Today's interview is with Lisa Grace, author of Angel in the Shadows. AOL picked the Angel in the Shadows series as the Christian alternative to Twilight on the ALA's Most Challanged Book List of 2010. Prior to writing, Angel in the Shadows, what was your writing history? I've written plays and songs that have been performed by children's theater groups. I also wrote a technical manual as part of my job at a major computer industry firm. I've been writing stories since the age of five, but never pursued publication before the Angel series. What motivated you to write Angel in the Shadows? Teens have such a fascination with the supernatural, but almost all of the books and movies out in the media promote made-up supernatural creatures like vampires and werewolves. I wanted to make the Bible's supernatural world real for teens. My tag line is the difference between vampires and angels? Angels are real. Did you write this book strictly for the Christian market or did you want it to be a crossover book? How did you research writing this book for teens? Did you read any of the Twilight or other vampire books? No. I didn't want to influence my vision of the way I wanted depict reality. I finally read Frank Peretti's This Present Darkness over Christmas vacation because I was getting so many comparisons to his writing. I did read several theologians books on angels and demons, then I wrote down a set of rules I would follow to make sure the angels and demons stayed as theologically correct as I could make them within the boundaries of my limited human understanding of God's marvelous supernatural reality. Many people believe in angels merely as nice little helpers as in the “Touched by an Angel” TV series. But your book paints them in another light. What types of reactions have you received to your fallen angels as being real? At readings and signings, I get many people who want to meet me and tell me their encounters with angels. Maybe I'll write a book someday of their stories. I have had a couple of negative reactions at Barnes & Noble book signings where someone would come and make a foul remark about Christianity in general. What do you want the readers to take away from reading this book? You are either saved or unsaved and there is only one way to get saved. I understand you did a twenty-city national tour for this book. What was your experience like in traveling around the country promoting your book? My husband, daughter, and I traveled by van to do the signings at the Barnes & Noble stores. It took a couple of months because we kept running into blizzards in North and South Carolina, so we would have to stay extra weekends to fit in the rescheduled signings. The best part was driving up to a store and seeing Angel in the Shadows displayed in the front windows of the B & N's. Nothing makes a book more real than that. I took pictures, of course. I love how Barnes & Noble gives its authors the royal treatment. Posters up, books in the window and displays, and a cup of coffee. My daughter feels at home there; we home schooled her that year. The reaction that surprised me the most was, I was treated much better by the press out of state. Here in Florida, the press ignored me, but out-of-state they would write articles in the newspapers. My daughter thinks I'm famous because of the way we were treated on tour. What is the status of the 2nd book? I've finished Book 2 in the Angel series and now I am polishing it. I'm working on getting an agent because I would like a broader distribution deal and I would like to put both out in paperback to make it less expensive for teens. But if not, my current publisher wants it. You are also working on an adult historical thriller tentatively titled The 15th Star. Where are you in the process now? What is that story about? Linda Yezak, my editor, and I are working on The 15th Star. I hope to have it ready in the next few months. It's based on a real-life history-mystery. The Star Spangled Banner is missing its fifteenth star so I wrote a fictional account of who I think has the star and why. First readers describe it as National Treasure meets 1776. What’s the most unique way you’ve promoted your books? Word-of -mouth? I don't think anything I've done is unique, just phone calls, emails, press releases, speaking engagements, & book signings. What surprised you the most about the publishing process? What do you wish you’d learned earlier about writing? How good authors are expected to be at self-editing, how much promotion you are expected to do on your own, and how small the publishing world really is. Every agent and acquisition editor knows of everybody else. What’s the best advice you’ve received about writing? Keep learning. Write one thousand to two thousand words every day. Finish your manuscripts and don't give up. What’s the best advice you could impart to other writers for encouragement? Finish your manuscript and don't give up. The sense of accomplishment you will feel holding your God-given book in your hands is worth it. If you would like to learn more about Lisa Grace and her books, here's some links to get you started. My author interview today is with Helene Boudreau who has written several non-fiction books and articles dealing with science for children. She has also done YA (young adult) stories as well. For this interview I will be focusing on her non-fiction writing. Some of your earlier writing was for KNOW, which is a kids magazine geared to readers, aged 6 to 9 that deals with the world of science. How did you get started there? I started writing for KNOW magazine after querying them with a writing sample, following their online submission guidelines. I'd written about a half dozen articles for them prior to writing the non-fiction books. I'm actually working on an article for KNOW right now about dental braces. How did you first get involved with writing for a book packager? Did someone suggest this market? I had been writing non-fiction articles for a kids’ science magazine called KNOW. A fellow KNOW author had been approached to write a volume in a science series and put me in touch with the editor to write another. I have a Bachelor of Science in Biology so the topic really appealed to me. That led to other books. Could you define how a book packager works? Book packagers pitch book ideas to publishers with proof-of-concept proposals. Once the publisher buys into the idea the book packager contracts authors to write the books. The packager usually has a very solid concept of what they want a book to look like, which they outline for the author. In some cases, though, the author and editor on the project work together to come up with a book plan. The author is paid a flat fee for the work and sometimes royalties; it depends on the packager. Once the project is written, it goes through editing and design and then goes to the publisher for approval, then publication. Could you walk me through the process? I was introduced to book packaging by referral so there was no proposal on my part. Each project was a bit different since they were with a few different packagers. Sometimes I was given a book plan to work from, from the start. Other times I worked with the editor to design a book plan in concert with other authors writing different volumes in the same series. Once the book plan is approved, the author researches the topic and does the writing. Some of my books have additional resources like glossaries, recommended reading and vocabulary lists, depending on the audience and the topic. What was the first story you wrote for this market? Was it under your name? 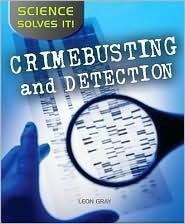 My first non-fiction book was CRIMEBUSTING AND DETECTION closely followed by MIRACULOUS MEDICINES since they were part of the same series. All of my packaged books credit me as the author but this isn’t always the case. What type of research did you do for this book? How long did you work on the book? Research includes interviewing experts and lots of reading. The turn-around times are fairly quick (4-8 weeks) on these projects but that varies from one book packager to the other. These two non-fiction books are not your typical 32 page picture books.They have real pictures and sidebars which to me looks more like mini-textbooks. Since those items are such broad topics how did you narrow it down to fit the format size? Those two books are part of the same series called SCIENCE SOLVES IT and the main thrust of the series was to focus on how science plays a role in various careers. The authors and editor worked together to make the books similar in format but varied in content since each career was so unique. Staying true to the theme of the series, though, was key to streamlining the information and keeping it relevant. The publishing page reads more like a magazine masthead from editors to designers to project coordinators. How many of these people did you actually interact with personally? My main point of contact was always with the editor. Their job is to coordinate the team or authors, designers, etc. to keep the process as efficient as possible. Again, each project is different. Sometimes the author has no input on the design or pictures. Other times the author provides design/ photo direction or they actually source photos for the project. Final approval lies with the editorial team, though, and ultimately the client (ie the publisher who bought the project in the first place). How many books have you written for packagers? What suggestions or advice do you have for someone who may want to pursue writing for packagers? I’ve written five. My advice to anyone working with a packager is not to be afraid to ask questions if things are unclear. Be open to editorial feedback, be professional, meet your deadlines and also, never work without a contract. How has this either helped or hindered your career in writing fiction? Writing credits like books for book packagers show editors and agents that your writing is at a publishable level. That is always a bonus on a bio when submitting new work for publication. If you would like to know more about Helene’s writing for either non-fiction or fiction you can learn more at www.heleneboudreau.com. Gregg Seeley was born in Vancouver but grew up in several parts of Canada. When you’re the new kid in town, it’s not always easy. Writing from his own experiences as a child moving frequently and coping with bullying, gave him the inspiration and motivation in writing the "Big Bobby Boom!" series. He has become an advocate for the anti-bullying movement. His book “Big Bobby Boom! and the Marble Mayhem” is the first in a series of action packed humor stories for children ages 9 to 12 that highlights the serious issue of bullying. Your first published book is Big Bobby Boom! and the Marble Mayhem, how did you come up with that wild title? I was a local carnival and witness a child throw a temper tantrum and I thought he must be huge by the way he's making all that noise, he was no bigger than the taco bell dog. As I was walking home, I stared up at the enormous clock tower in the down town and thought, I wonder what it would be like to climb up there and drop marbles down onto the street. That night came the birth of the original idea for the story. I understand this book came about from telling bedtime stories to your boys. Was it a story that evolved and changed as you continued to tell it? Oh absolutely, the story evolved tremendously from the bedtime stories. The characters grew, the town grew, the storyline changed and the entire theme spiraled into a novel. It was my boys who encouraged me to get this published After many nights of laughing their heads off at story time and getting too wound up to sleep, they thought it would be a great idea if other kids had the chance to hear the true hilarity of this. Originally it was called Bad Jimmy but since I couldn't have a protagonist with that kind of name, there had to be an antagonist worthy of the title "Big Bobby Boom!" How did you work to polish your story? I never took a writing class per se. I began writing short stories at age eight and always knew I wanted to write books. I used to trade manuscripts with a local critique group in the town where I previously lived before retiring from the military. That was a lot of fun. I polished it from the feedback and the belief that I could write it better than it originally was. This book is published by Moosehide books. Did you contact any other publishers to produce your book prior to contacting them? Actually, no they were the first publishing house I wrote to with this particular manuscript and being a first time novelist I was so happy to receive positive feedback from the publisher on this manuscript that I just stuck with them. Tell me about the process with Moosehide. Did you first send in a query, proposal or full manuscript? Oh, yes I sent in a query, an outline and a sample chapter. Richard Mousseau rejected it whole-heartedly but left me with a great positive note at the bottom of the letter stating that he really liked the story idea and with a strong re-write he would consider it. So off I went with the determination of a junior rhinoceros and set about to pound out a good story and make it enjoyable. Using some past experiences and wishful thinking of how I wished my childhood dealings with bullies could have been, I put in my own twisted humor and tall tale embellishment. You say your writing mentor is Richard Mousseau, editor and publisher at Moosehide books. Give me some specifics of how he has helped you. Richard Mousseau was very patient with my work and as I kept sending him re-writes we would have long conversations on the phone about how to make it better and I would send out better and better work until he was happy with it and found it worthy of publishing. I really had no idea what I was doing when I first started with the whole writing thing but what a tremendous learning process I had. What was the editing process like for the book? Re-writes? re-does? I got to the point where I memorized the manuscript word for word and kept pounding away and kept my enthusiasm up with all the encouragement Richard gave until finally . . .It was done! You have a second book now. Was working on that book easier or harder? My life Smells like Peanut Butter is the working title for Big Bobby Boom! and the Junkyard Monster. I thought I would try and mix it up a bit. My boys however think I should stick with Big Bobby Boom! and the Junkyard Monster. This one was much easier to write than the first in the sense that I had all the mechanics down for a good story and knew a lot more about character development and fleshing out the story. I tried to write the first draft in the same manner of the Captain Underpants books but all I had was a great skeleton. I immediately started putting meat on the bones of the second one right away and it flowed so much easier. This book is now in the final editing phase. Are there more Bobby Boom books in the works? The third installment "Big Bobby Boom! and the Nasty Surprise" is a completed first draft and concludes the series quite nicely and it is full of "Nasty Surprises" for the antagonists. No, this particular novel is not under contract at the moment. You've done readings of your book at schools. What was it like reading to a new group of kids? With regards to school readings, I usually set it up myself. I offered a copy of the book to a number of school principals, left my contact information and then badgered them a couple of weeks later. The rewarding part was receiving late night calls from these wonderful people telling me how much they loved the book and how much they would enjoy me having to come into the schools for a reading. Most times they would order a number of books ahead of time and I would speak and entertain the audiences free of charge. Depending on the distance of the school from my home is whether or not I would charge a fee. I loved reading to new audience. Usually the school would file an entire grade into the library or the gym and they would listen to me read a chapter then take questions. The reactions were hilarious and enlightening. They enjoyed the voice characters I would make up and the humor I would bring to the question and answer time. I enjoyed it tremendously! What surprised you the most about the publishing process? What surprised me the most about the publishing process? That’s a funny question. You have to have patience, determination and a thick skin to go through with it. It’s not as easy as it looks. The re-writes, the query letters, the sales pitches and the waiting would be enough to drive the average impatient person into seeking another way to express their creativity for sure. I liken it to ice fishing in the bathtub, eventually you will . . . either give up, catch the tap a few times, or find another place to fish. I really wish I had learned the art of sales pitching for the query letters first, but it’s a learn as you go process for me. Some get lucky the first time they write a novel and get snapped up and made famous, while others have to climb the mountain and get there the hard way. The best advice I would give new writers is . . . Nothing was ever accomplished by not taking a risk. No matter how awful the first line of the first draft looks . . .Keep going, that’s why you have the delete key. The story will make sense and grow on its own, all it needs is nurturing, faith and your desire to complete it. My interview today is with author, Tina M. Cho, a former elementary teacher and now a freelance writer specializing in writing for the educational market. She’s had published pieces in Parents Magazine, Clubhouse Jr. and Berry Blue Haiku Magazine. Just last month Lakeshore Learning, an educational publisher, released 16 educational phonic books that she did for them. Today we’ll learn what it’s like to work for that market. Let’s see how that started. What made you make the transition from teaching into writing for children? We had moved to CA, and because of the current economic status, most schools were not hiring elementary teachers. I decided to look into something else I had always wanted to do...writing for children. It's my dream to have a picture book. I want to leave a legacy for my children. You found your first critique group through SCBWI. How many meetings did you attend before you brought in your first manuscript for review? Nancy Sanders, the group’s leader, invited me to her critique group, CHAIRS, and told me I could bring a story. That first meeting, I brought a manuscript. I understand it got good reviews from the critique group. What was that piece about? What happened to that story? My first piece was a Christian fiction story for Pockets Magazine, about a 6th grade girl with a terrible attitude, who had to travel with her family on Thanksgiving. I rewrote it according to the critique group's suggestions, and then submitted it to the magazine. It was rejected. How did you get involved with writing for the education market? Some ladies in our CHAIRS group wrote for a Christian school's reading curriculum, and they invited me to join. I got connected with the editor and started writing about 2 stories a month for them. They gave Christian themes and a word list for their leveled reading stories. In fact, one of these stories was my very first story to be accepted. I still write for them and have written 38 stories now. This was my first work-for-hire assignment. Having a teaching background helps me, as I am familiar with many educational publishers. I also like writing for teachers. So I came across an ad writing activities for education.com, and wrote 41 activities for them. I also submitted a lesson plan which was accepted by the educational publisher, Gryphon House, for their anthology of lesson plans called Learn Every Day about Our Green Earth. How do you find your leads for writing for the education market? Tell me how this 16 book set for Lakeshore Learning.How did it begin? Since I was still hunting for a teaching job, I also read the Los Angeles Times Career Builder online. I came across an ad by Lakeshore wanting an educational writer, someone with a teaching background! Of course, I had heard about Lakeshore, they are the "Cadillac of educational resources" in the teaching world. My co-teachers and I used to drool over their catalogs, wanting all their stuff. But as teachers, we were too poor to buy most of the products. What were the guidelines from Lakeshore? I submitted my teaching and writing resumes and the project manager emailed me with a writing test. I had to write 3 short samples on three different grade levels with questions and answers, according to their directions. For the project that was assigned to me, the product developer already had in mind which phonic rules would be emphasized for each book. My guidelines were the phonics rule, word count, grade level, and supporting nonfiction facts with a bibliography. I was free to come up with the topic for each book. I also had to give illustration guidelines, for exactly what I had in mind. Do you work as a team with others? I attended a meeting for this project, walking into a room of about 10 other people. I could have died! Editors, product developers, other writers... I worked closely with the developer and editor assigned to me. How do you feel about the credit being under a group name? Of course, I'd rather have my name on all the books. But I've heard other publishers do this, and even ghost-writers don't get their names on books. I just hope editors who are looking at my resume understand. I know you are a big fan of Nancy Sander’s Book, Yes! You Can Learn How to Write Children's Books, Get Them Published, and Build a Successful Writing Career. What was the best advice that you learned in reading that book and working with Nancy? It's hard to pin it to one point. Nancy has taught me EVERYTHING about writing! I guess the biggest advice I take from her book is to just query, query, and query some more. Never give up. For those who want to break into working in the educational book market, what advice would you give them? Check out educational books at the library or schools. Many of these are nonfiction sets specifically for school libraries. Ask for educational publishers' catalogs. Study the kinds of books they publish. If you feel you could write one, send a query of ideas to them. 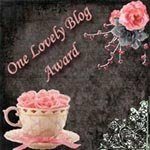 If you like to learn more about Tina and her writing, go to her blog at http://tinamcho.wordpress.com. She also Has some great educational tips for parents and teachers which include activities and book reviews. I love writing. I love the swirl and swing of words as they tangle with human emotions. That is what we create or try to create when we write – a deep swirl of words that will bring the reader deeper into the story to the point that we feel a part of it. When you’ve read a really good story, don’t you hate it when it ends because you have to say good-bye to the people you've met? You will never know what future fates might await those made up inhabitants that feel like friends. Unless of course the writer decides to do a sequel, then you can move on with the characters and share in their triumphs and sorrows. I do love book series like Robert Ludlum’s Jason Bourne, Agatha Christie’s Miss Marple or Hercule Poirot, and Jan Karon and her folks in Mitford. It’s great when a book wraps up the story and gives you the epilogue so you have a future story that you can let swirl in your own brain. Then there are the continuing written stories on TV that get to be acted out. Actors who play those roles get "hellos" on the street by their character's names from people who feel they know them. TV is a swirling of smoke and mirrors getting you to believe the people are real. My problem with TV stories is when a series that I have become involved with is suddenly canceled. One show in particular that I liked (but not enough Nielsen families did) was Flashforward. This show began as everyone in the world blacks out for 137 seconds (why that specific time frame was never answered but a Biblical reference could give a clue using those numbers) and they “flash forward” to see visions of their lives six months in the future. Many of those visions were unsettling and had the characters wondering if that future could be changed. For others they wanted to get to it quicker. So the viewers never got to see the fully evolved story that the writers had swirled in tornado like fashion with so many of the characters being sucked into the vortex of each others lives. I used to watch soap operas which are great for creating your own story line as the plot lines are so glacial with just the occasional calving. When I couldn’t sleep at night because my brain was creating too many thought devils (like dust devils being mini dust tornadoes) I would create my own storyline taking characters from all different shows and swirling them together in a new creation known as All my Children who are living with Friends in Smallville. So what thoughts are swirling in your head today? What stories can you create to draw others into your creative writing world? This month’s blog chain as listed on the right is about swirling as is today’s post. Swirl on! As I love all things Irish, I am declaring this Love of the Irish month and not just celebrating the singular day for St. Pat. Besides this post are some of my favorite pictures of the lovely emerald isle of Ireland. If I had sufficient funds, I would live there for months at a time. If you haven’t visited yet…what are ye waiting for! If you are well, then there is nothing to worry about. If you get well, then there is nothing to worry about. Either you will go to heaven or you will go to hell. If you go to heaven, then you have nothing to worry about. with all your friends, then you won't have time to worry! 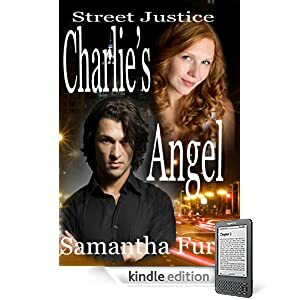 Today's interview is with Samantha Fury who has written two books in her series called Street Justice. What drew you to write this story? I love the characters. They are so easy to like, and their stories just flow out of me. I’m thankful that the idea for the setting of K-town in Chicago and Charlie and Angel came to my mind. I think this story will be a blessing to a lot of people. 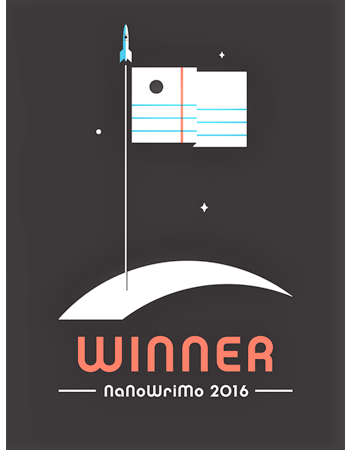 The characters and the NANO Contest was my motivation. You have to write 50,000 words in a month so you’re working hard to get that done. Is there anything autobiographical in this series? As far as are my novels being autobiographical; they haven’t been so far. Some of my female characters have traits I wished I had. I always wanted to be tougher, and more of a tomboy than I am. So a lot of my females exhibit these qualities. How many other books do you plan for your series? I really see that the story could go on longer than I have time for. These charters are so real and so believable I could go on for at least 10 books, maybe more. Right now I have two finished and one in the editing stages and two more in the back of my mind waiting their turn. What would you like your readers to take away from your stories? I hope they learn that no matter what life throws at us, that we can handle it.When we get in dark and depressing situations, God may have placed us there for a reason. We are to stay the course and follow the path that he leads us on. It’s not always easy but with his help we can make it and help others along the way. I see your book was done through CreateSpace. Prior to going this route, did you contact any other publishers? Before I heard of CS I never thought I could get published. I’d never heard of LuLu or any of the other Print-on-Demand companies. I never submitted or wrote a query letter. To me the whole traditional route is too much of a waiting game. I’m ready to just sit back write and sell my books where I can and where God leads me. What made you decide to publish through CreateSpace? I published through Create Space because I won a contest and the fine folks at Create Space gave me a free coupon for a proof. It’s hard to turn down a freebie. I have loved my time with CS. They do great work, and if something goes wrong they’re quick to fix it. Tell me about your experience? Did you have any upfront fees? There are some fees, if you want to join the Pro Plan, but the prices are fair. They’re more or less a print-on-demand. There is a large community of people that can help if you have site issues, but all the work falls on your shoulders. Edit, cover, it is all up to the author. The cover was totally my creation; they give you a cover template. They also have cover creators that make the design of a cover a very easy process. Your website shows a video book trailer. Who put that together? I did the book trailer myself, it was a lot of work, until I bought the Wonder share software, and it was a big help. Though you can use MovieMaker I prefer WonderShare. It’s well worth the money. I loved making the trailer, and picking out the pictures. I gave everyone credit for their pictures and was thankful for their contributions. I worked for weeks on this trailer finding the perfect pictures I thought suited the scene. In working through your first book, what surprises, if any did you encounter in working with CreateSpace? Well to be honest, it was a shock at how easy it was. There were moments where I had issues. Like when it came to turning the Word document into a PDF file, or the book cover into a PDF file. The issues I had were all to do with my lack of knowledge with the process, C S. Is very helpful and they have phone support if and when you need it. Working with CS has been great, they always deliver books fast and I seldom have an issue with them. In my two years working with them, I’ve only had two small issues and both were resolved with one phone call. The promotion is what I miss from an agent or publishing house. There is a lot of work in getting your book out to the general public. I spend two or three hours a day networking on web sites, and tweeting trying to get my book noticed. It’s a hard road but one that can be rewarding. What do you know now about getting published that you wished you had known sooner? I don’t think that it’s always been this easy to get into self-publishing, but I wish that I would have known earlier about create space, and that there was such a thing as Print-on-Demand. I also wish that I’d joined Christian Writers when I was 18 they have helped me so much. Unless you’re around other writers, it’s hard to find your place. I learned I was not alone in the fact that I would rather sit writing stories than eat, or go out, or be with friends or family. The years I’ve been at Christian Writers has taught me something very valuable . . . that I am normal, that I am not a misfit, I am just one of the many that wear the title . . . writer. Thank you for your time, Samantha. If you'd like to learn more about her books or purchase them, click here to link to Amazon. 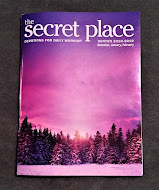 I'm pleased to see that another of my devotionals has been placed in this magazine! Been participating in this yearly writing motivation for the last 5 years.